1. 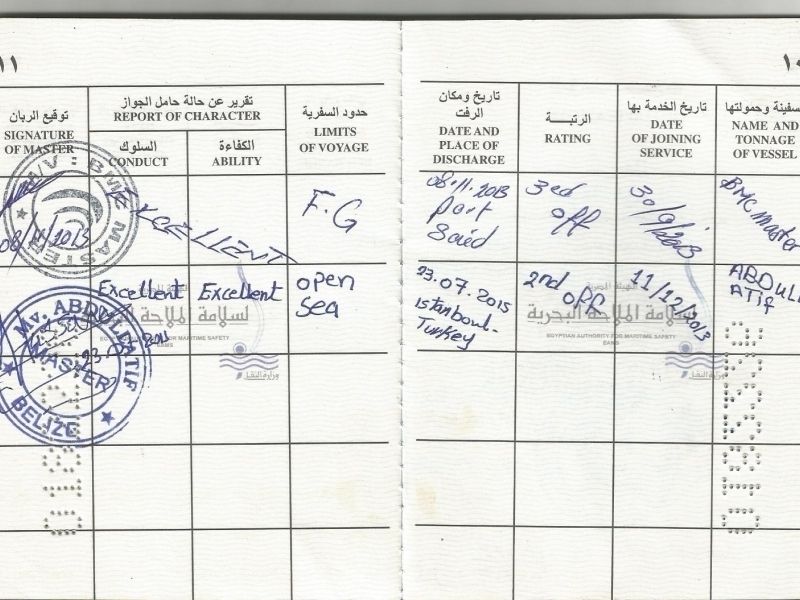 Cadet on board on M/V AIDA4 – passenger training ship -3071 G.T-( 07/2010 to 08/2011). 2. Third officer on M/V BMC MASTER -container ship -7000 G.T (30/09/2013 TO 08/11/2013).